Babylonia fell and the Temple was rebuilt, miracles were at once present and hidden - but Judea remained subject to the Persian Empire. The prophets Haggai and Zechariah spoke of imminent redemption - yet most Jews remained in exile. Prophecy ceased with Malachi, and a chapter in Jewish history came to an end, paving the way for a new era with the Oral Law at its heart: the era of the rabbis. At the end of the age of the prophets, hope mixed with disappointment as the people of Israel tried to come to terms with this partial salvation, wondering what it meant for the covenantal relationship between God and Israel. Often overlooked, the books of the final prophets hold the key to understanding the monumental transition that overtook the Jewish world at the beginning of the Second Temple Era and that ushered in the postbiblical age. 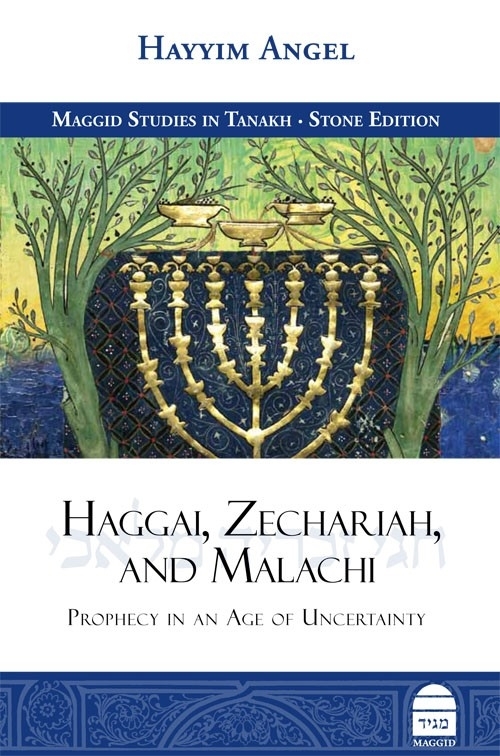 In Haggai, Zechariah, and Malachi: Prophecy in an Age of Uncertainty, Rabbi Hayyim Angel brings to life one of the least understood eras of Jewish history. 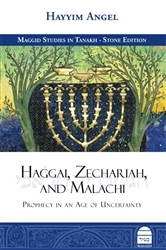 In this work, Rabbi Angel takes the reader through a tumultuous world of joy mingled with insecurity in the twilight of prophecy.